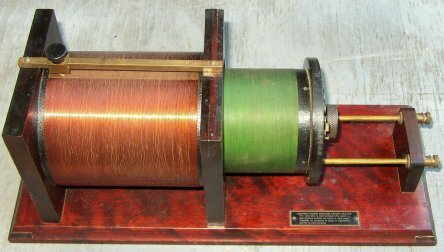 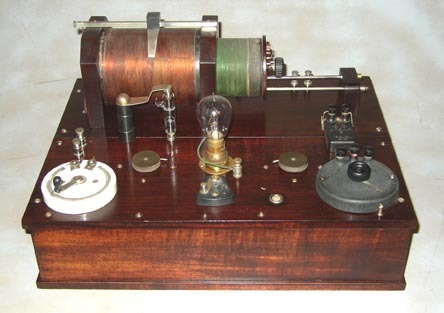 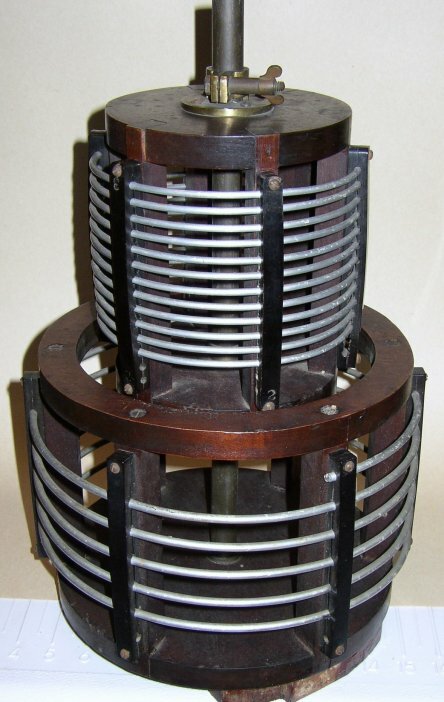 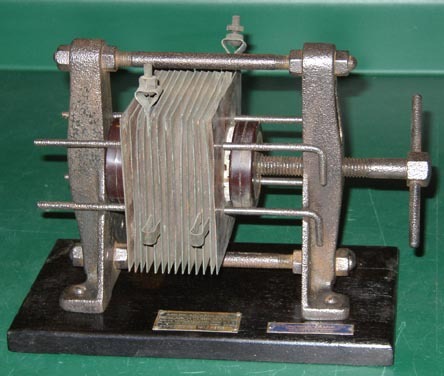 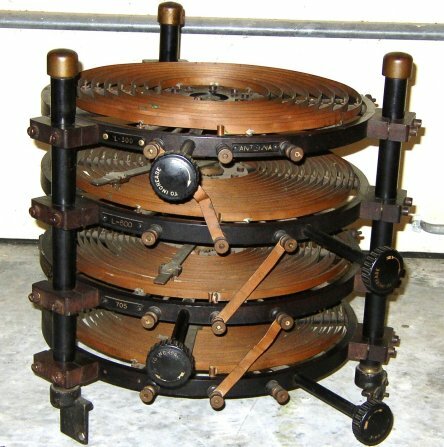 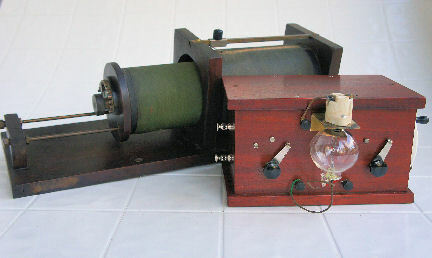 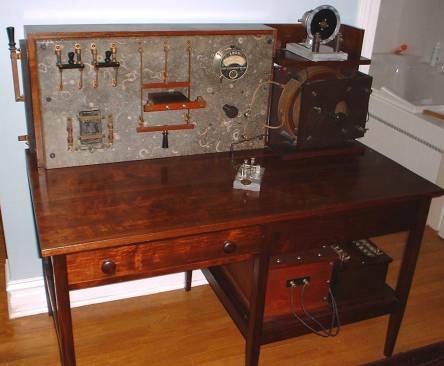 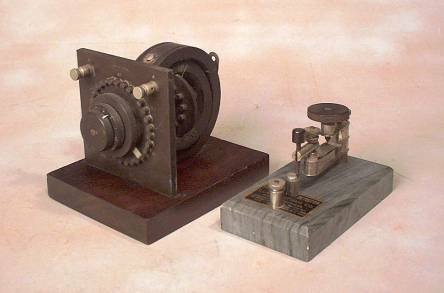 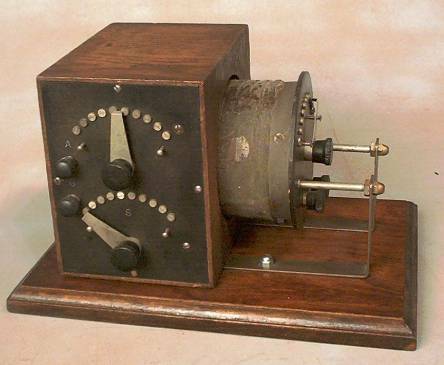 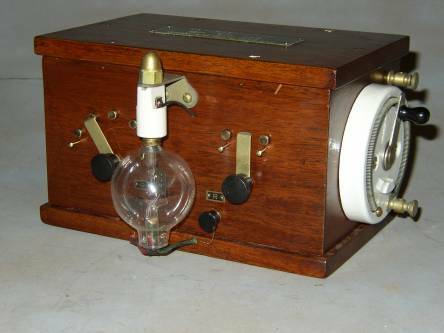 This full kilowatt spark transmitter made by Clapp-Eastham is from 1914. 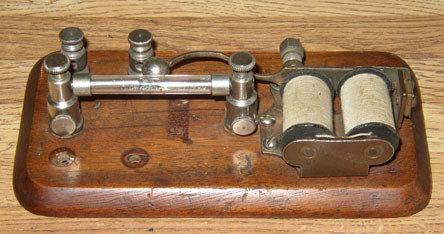 Clapp-Eastham Loose Coupler from the late teens. 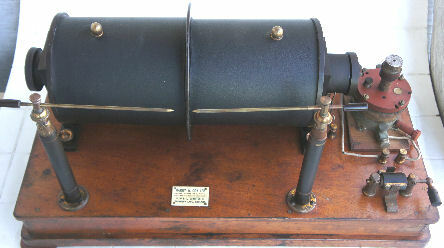 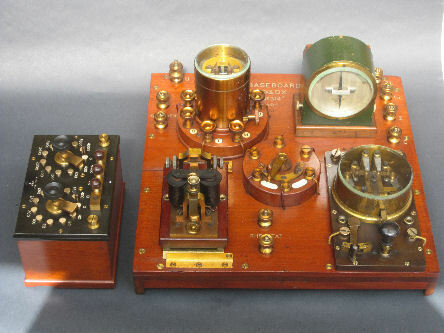 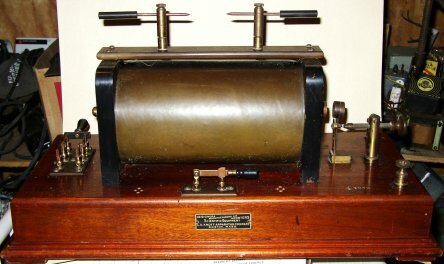 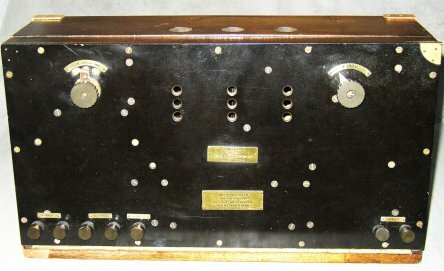 Chambers .084 Wireless Standard Time Set Radio from 1913. 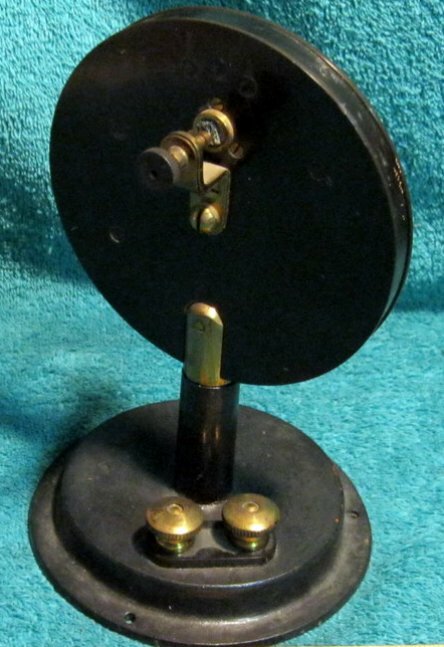 Uses one spherical audion. 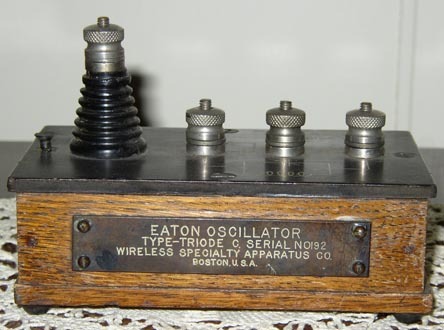 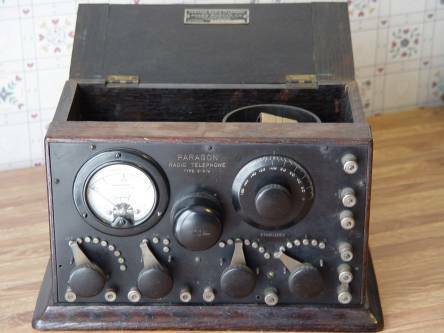 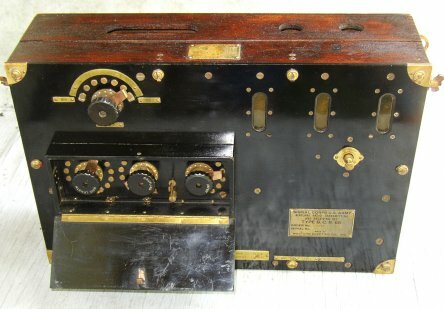 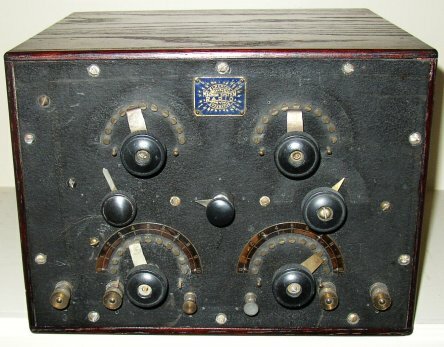 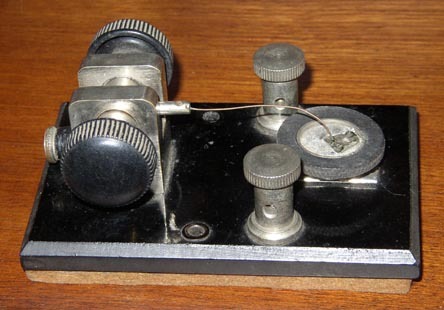 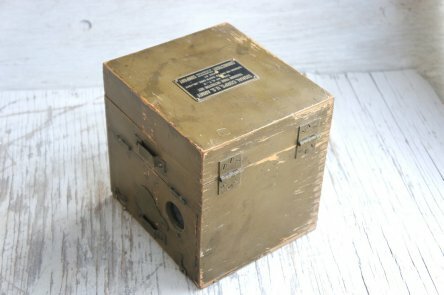 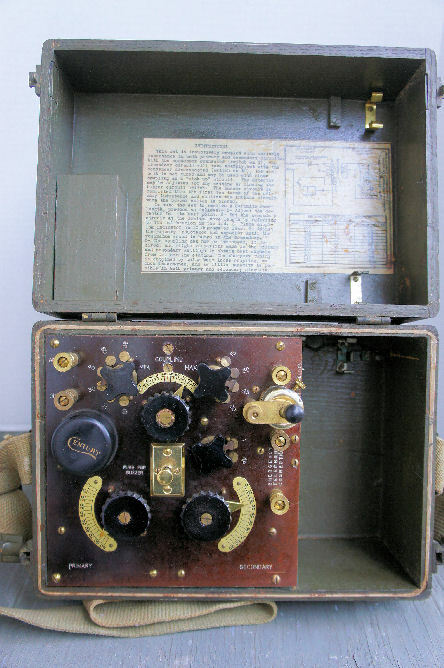 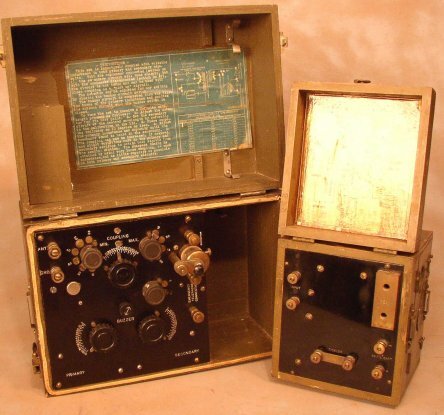 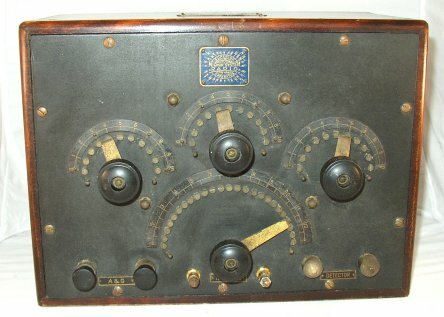 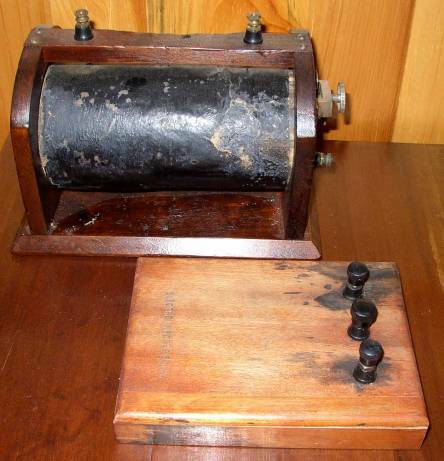 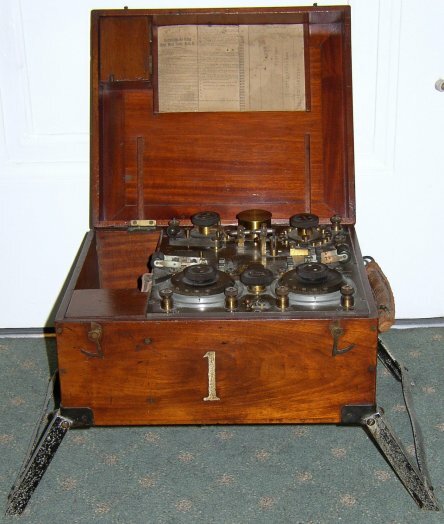 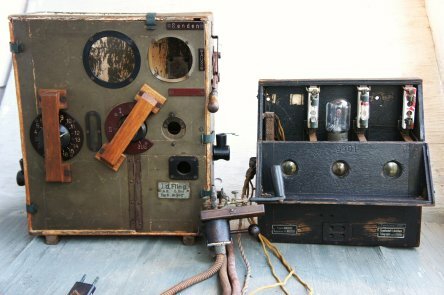 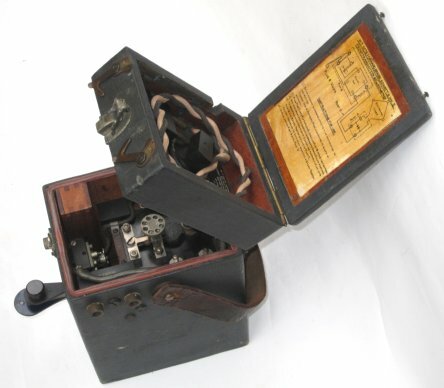 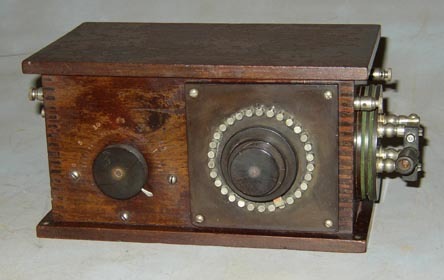 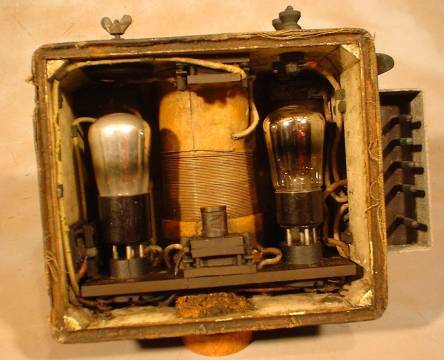 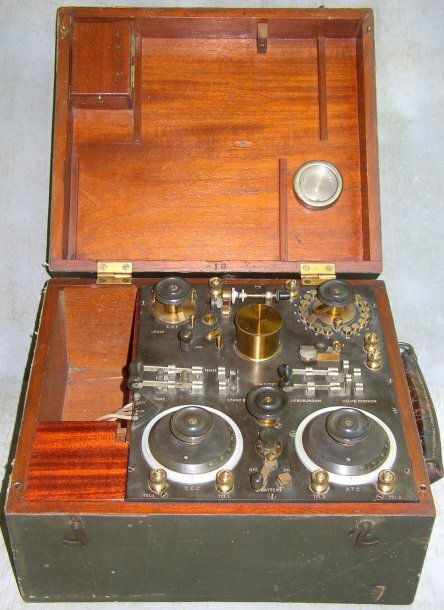 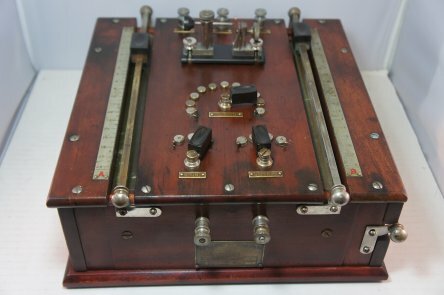 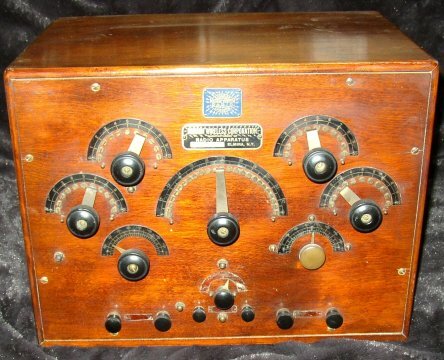 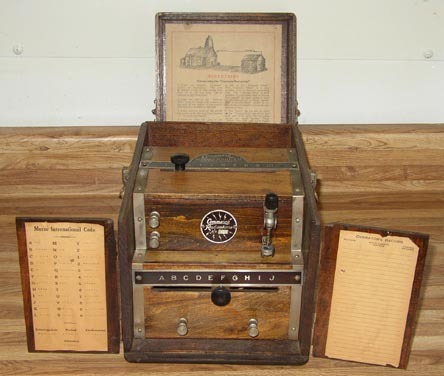 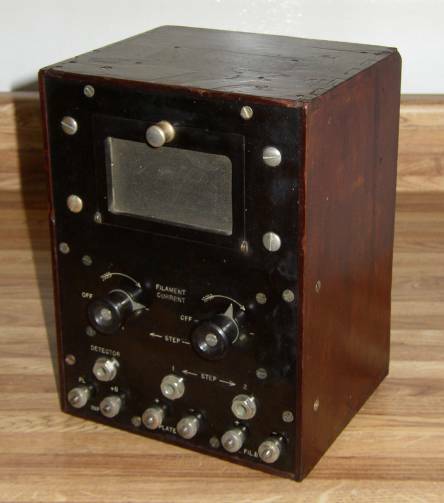 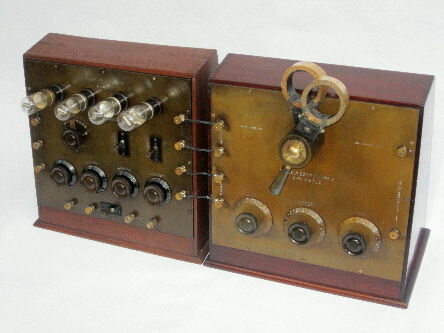 The General Radio BC 14A Crystal Set was made in 1918. 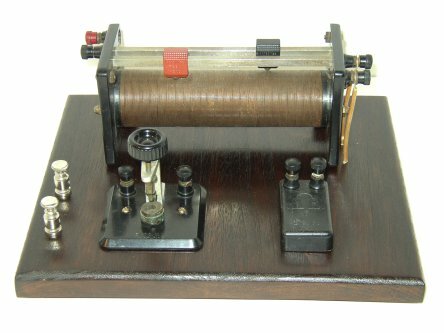 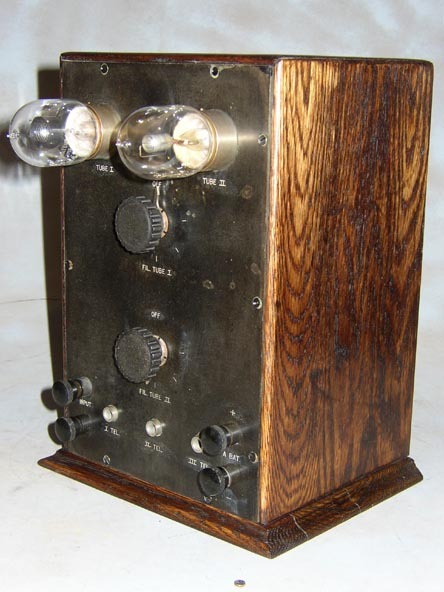 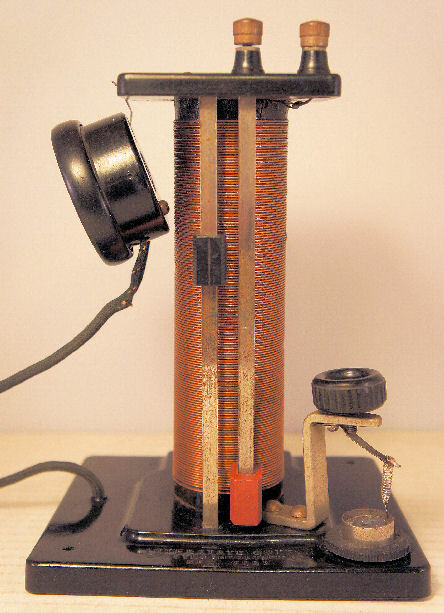 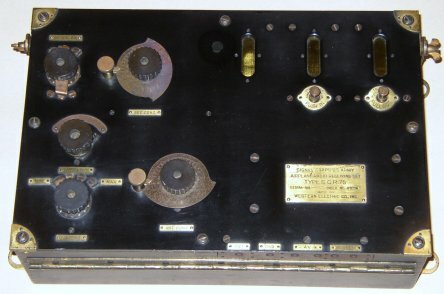 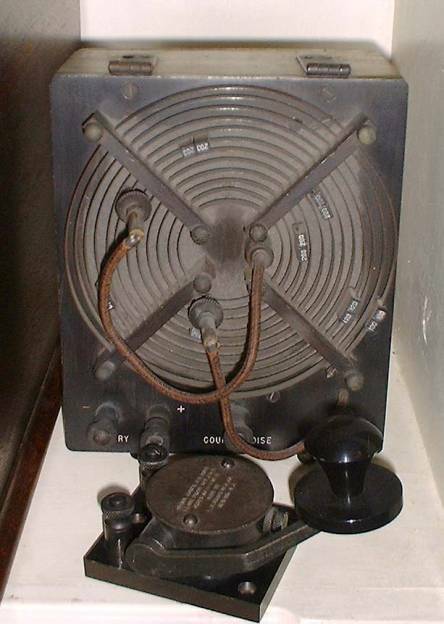 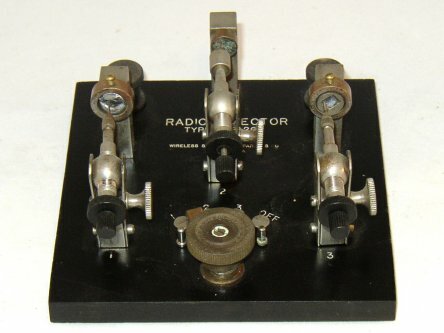 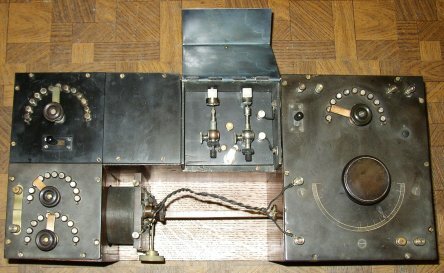 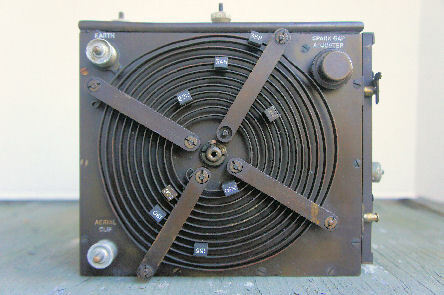 The General Radio BC 15A Transmitter was introduced in 1918. 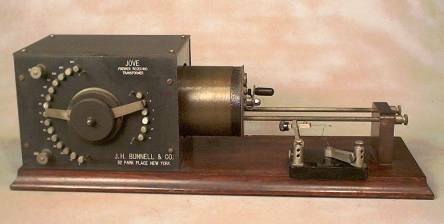 JH Bunnell, Jove loose coupler and detector. 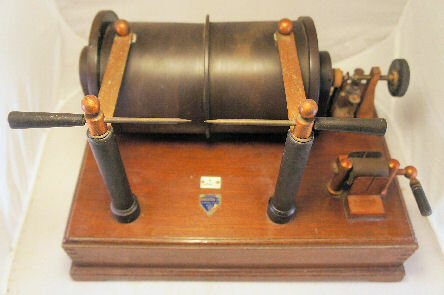 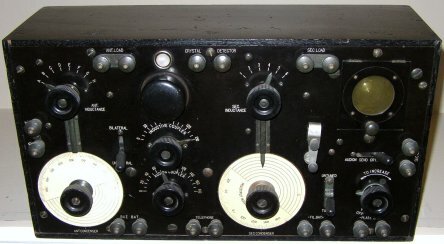 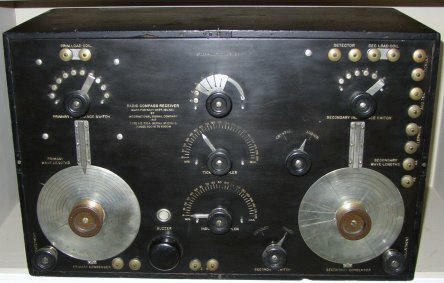 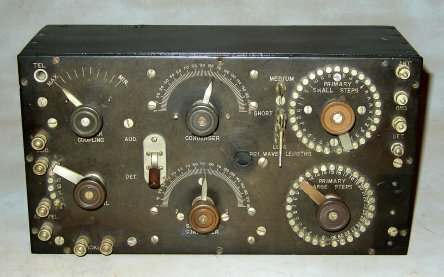 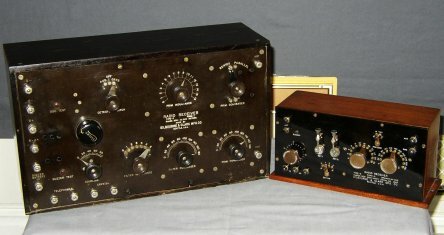 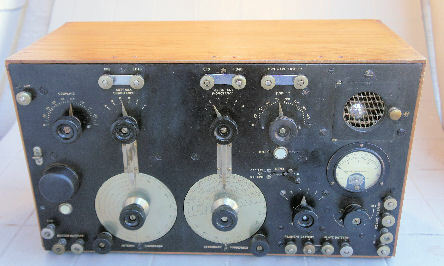 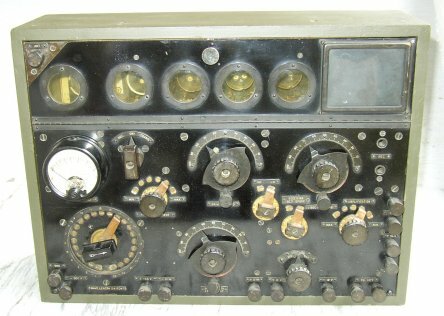 The Mark II Transmitter was made for the RAF. 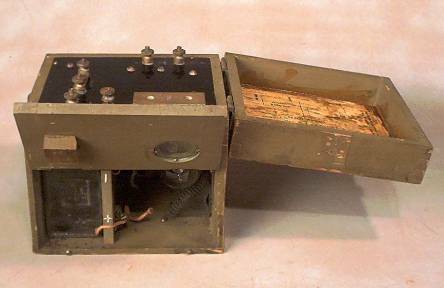 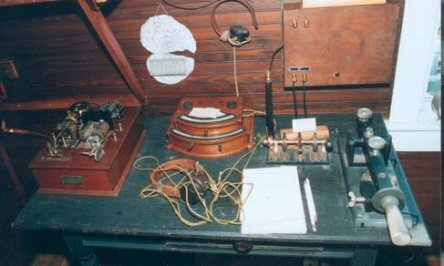 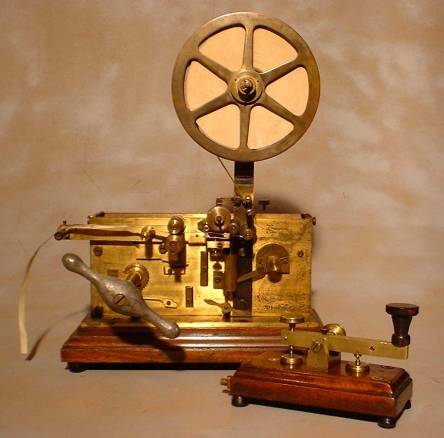 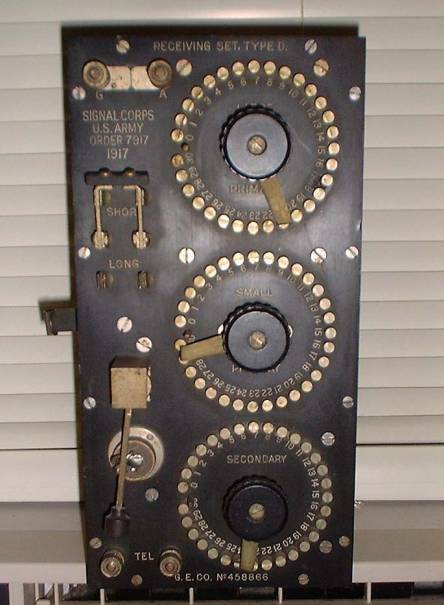 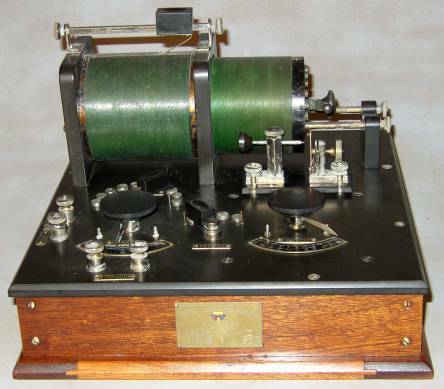 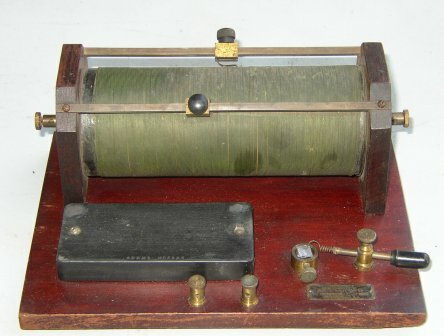 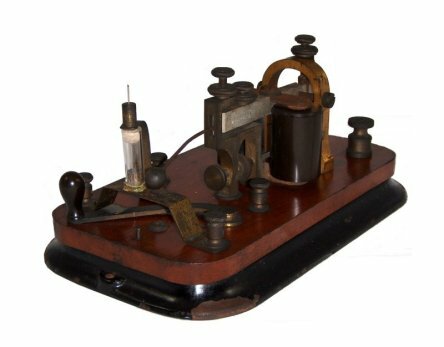 The CN-112 was a submarine radio receiver in WWI. 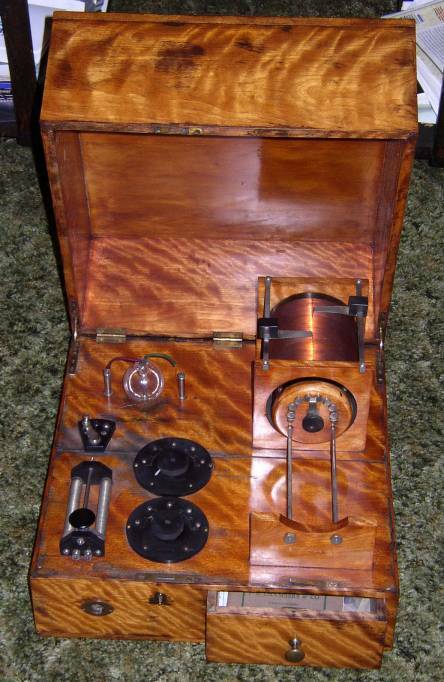 This crystal set was manufactured in 1917 for the military.